Happy Easter! Couple weeks ago, I had the pleasure of painting the tulip fields with some artist friends. 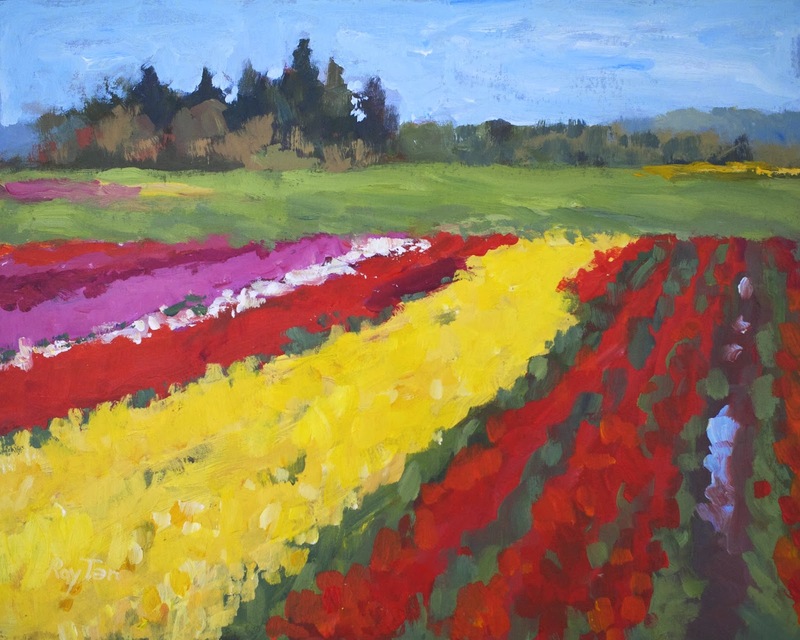 I first saw the tulip fields in the Skagit Valley a few years ago during Easter weekend when my parents came to visit. They are truly magical. I've long associated Easter with the oppressive heat and humidity of summer in the Philippines. Only when I came to the cooler climes of the US did I fully realize that Easter came with spring, and the apt metaphor for renewal and the rising to new life. Happy Easter everyone. Happy Easter! God bless you.